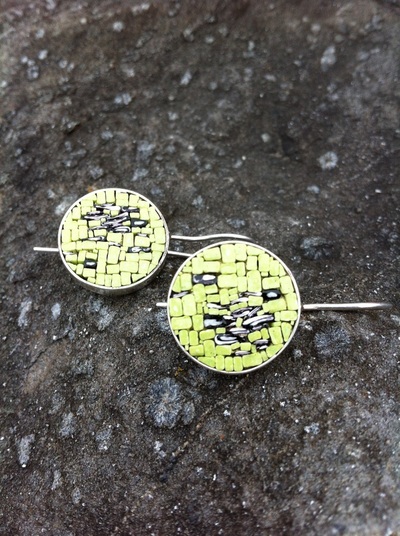 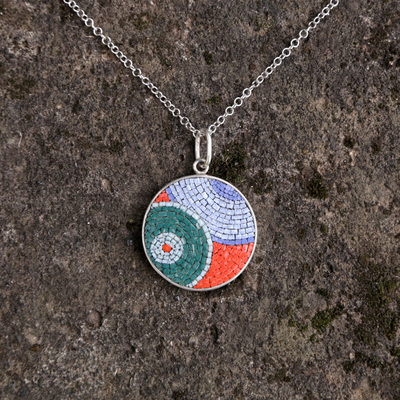 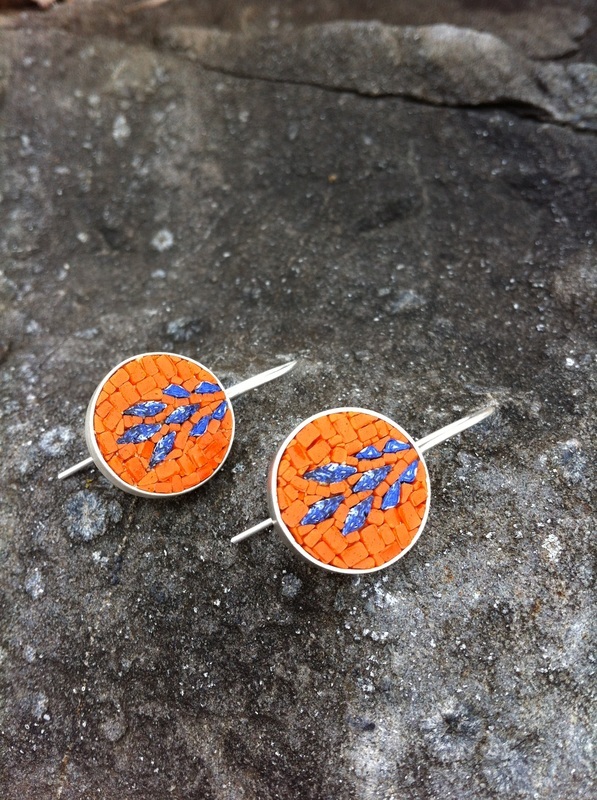 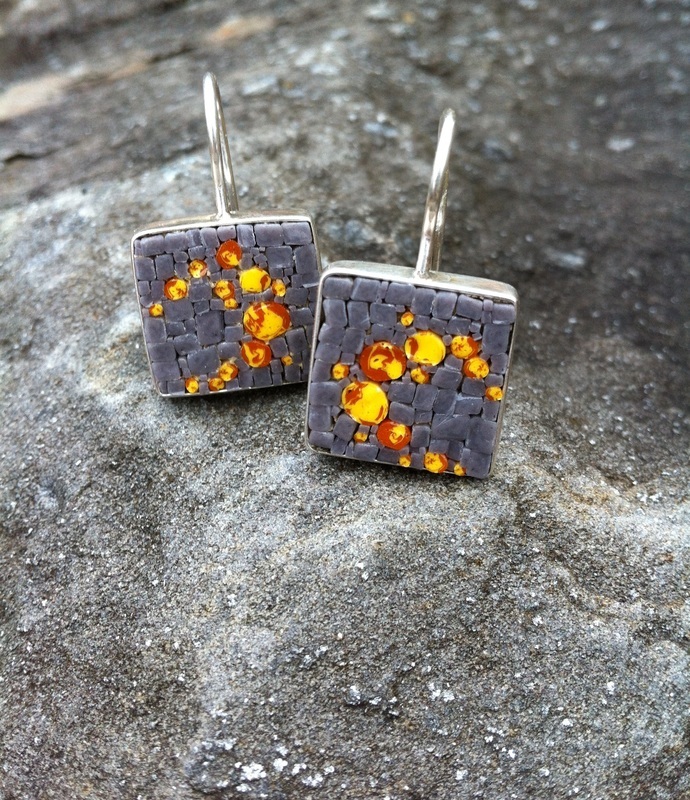 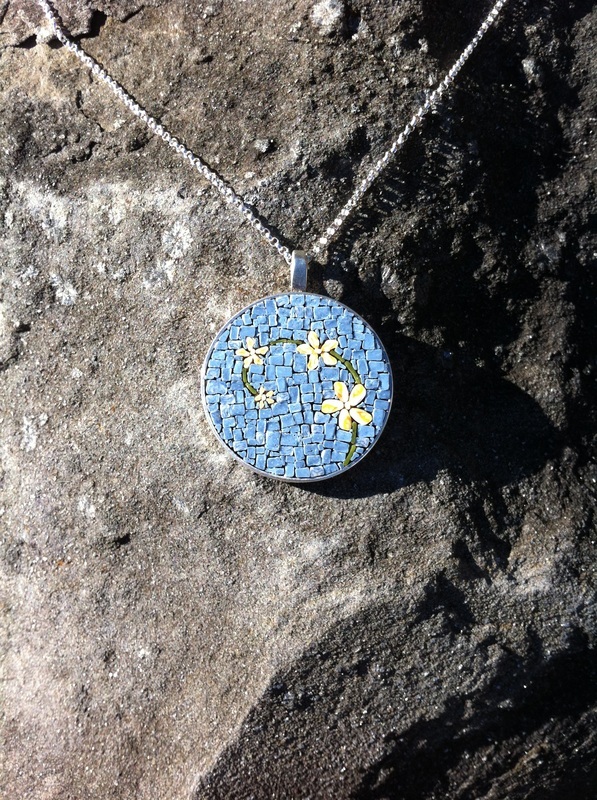 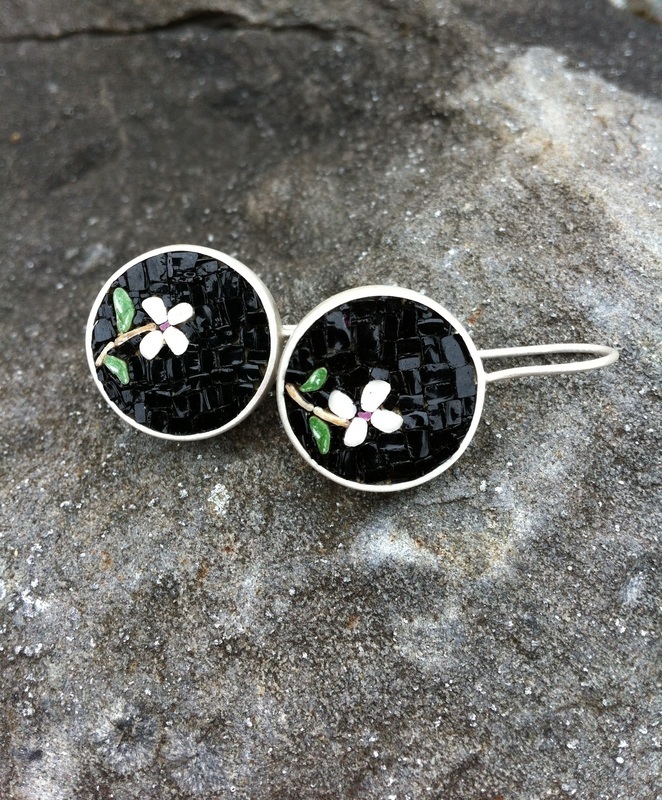 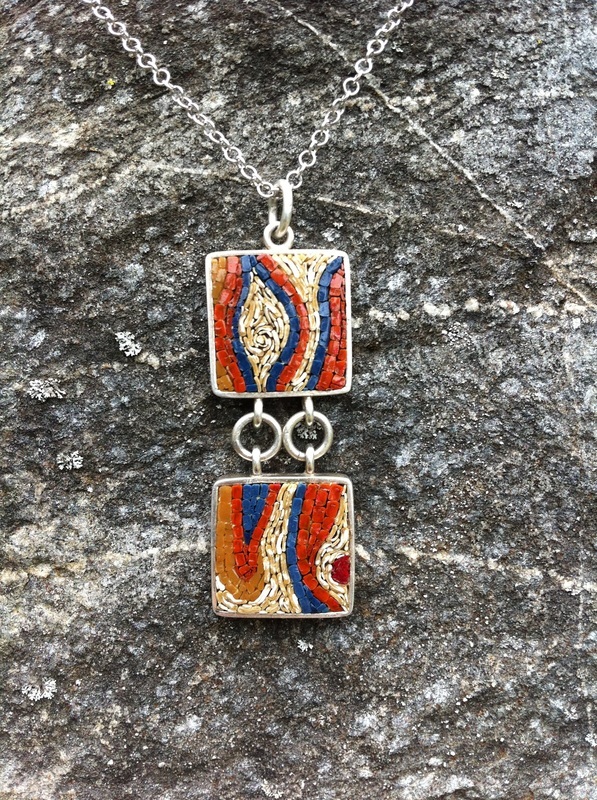 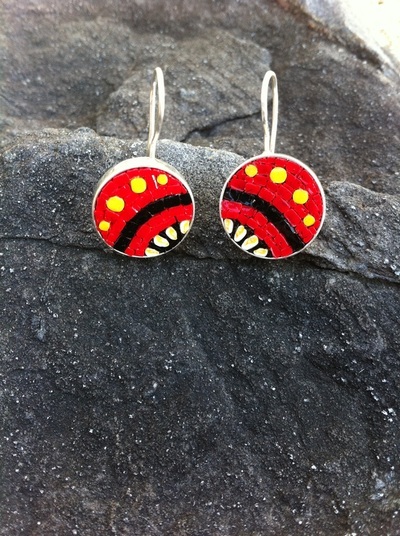 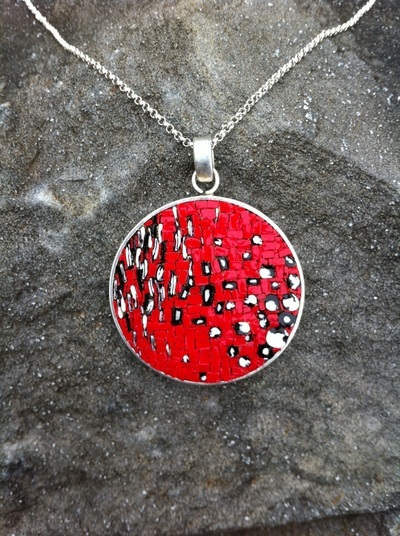 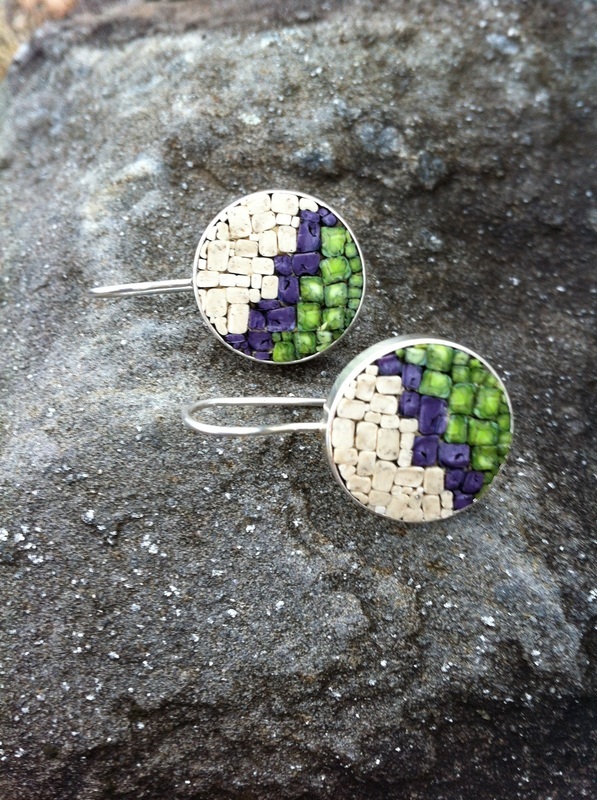 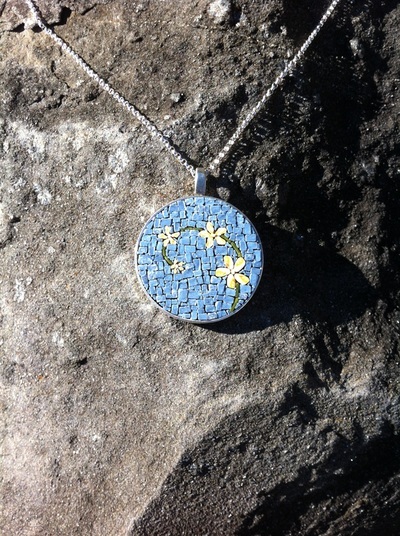 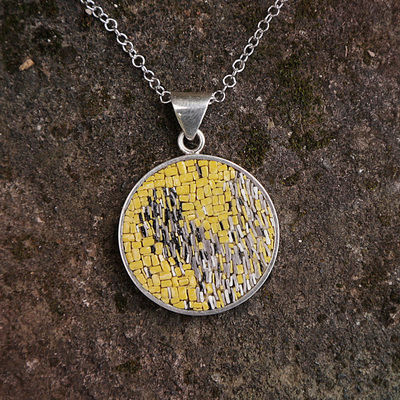 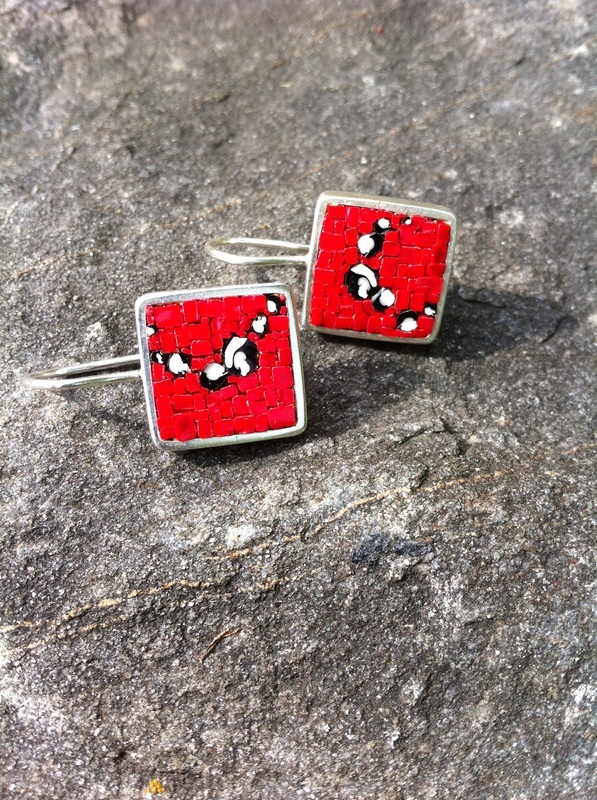 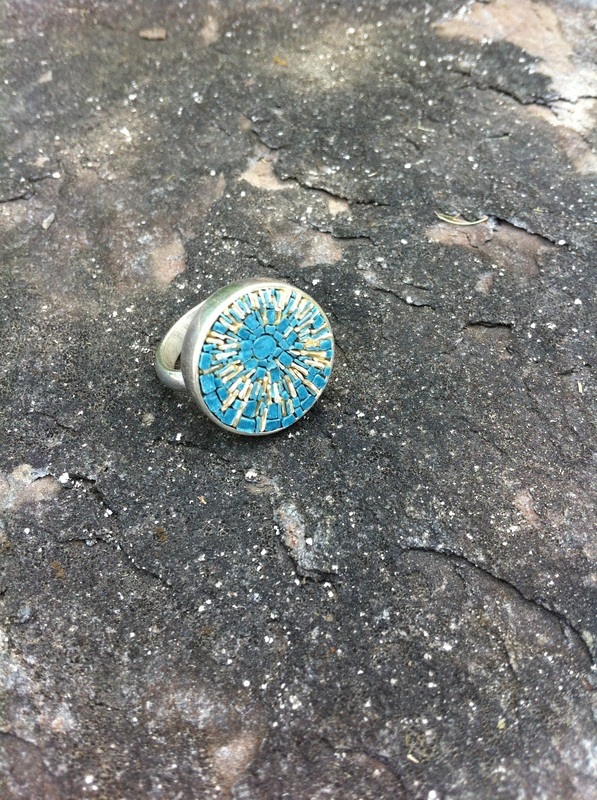 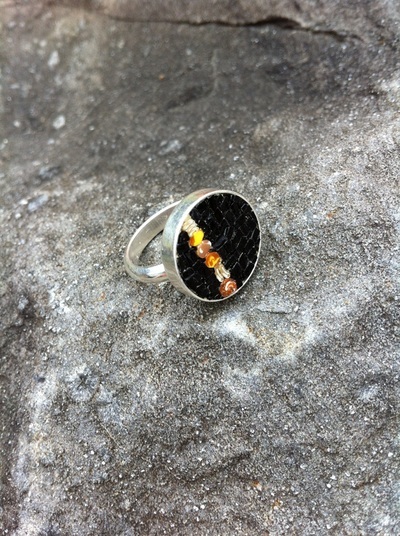 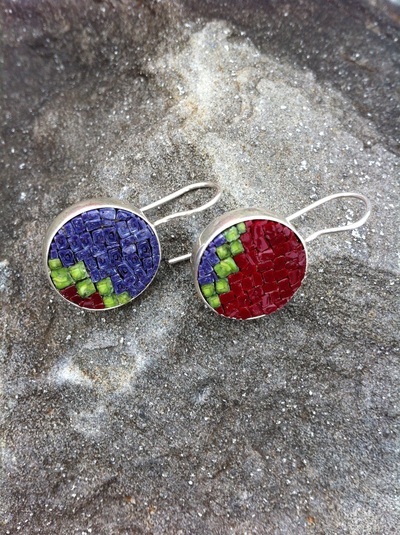 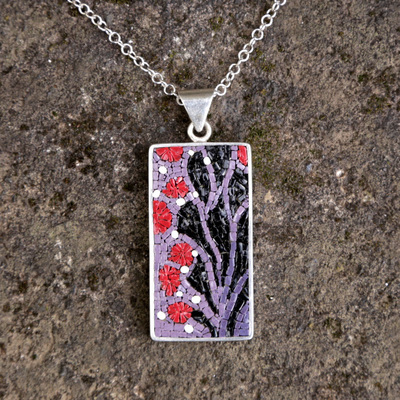 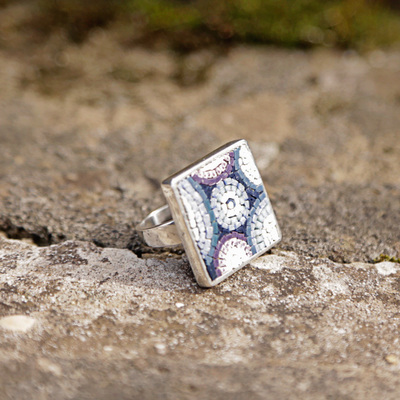 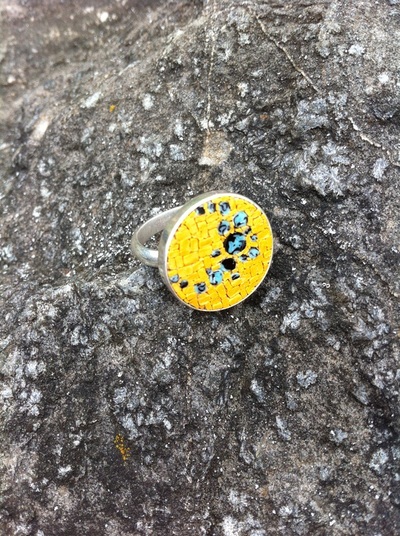 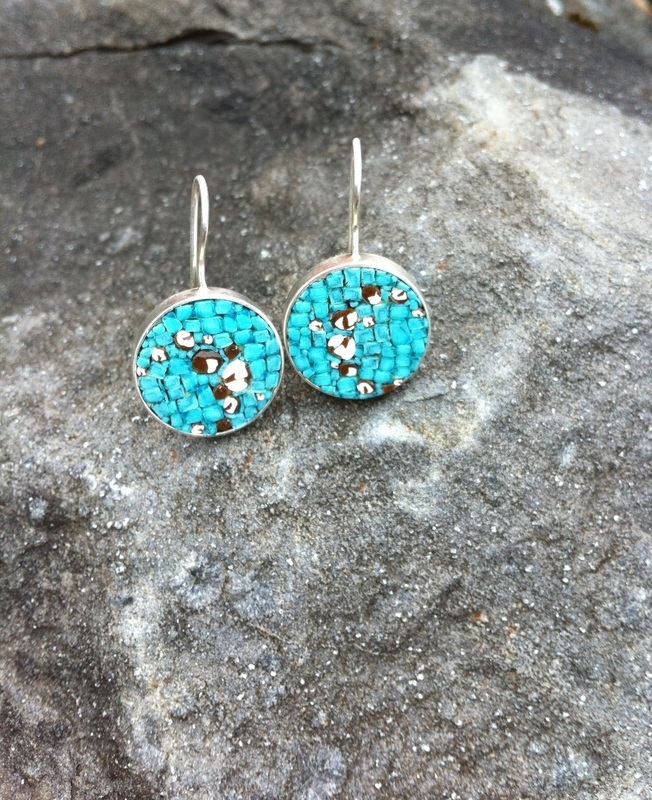 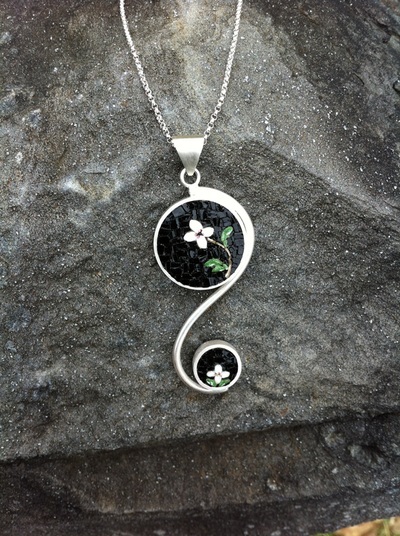 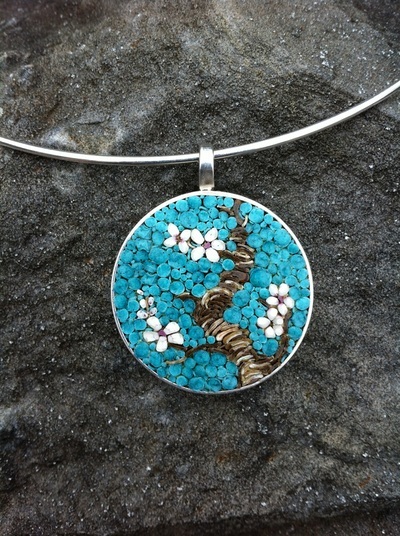 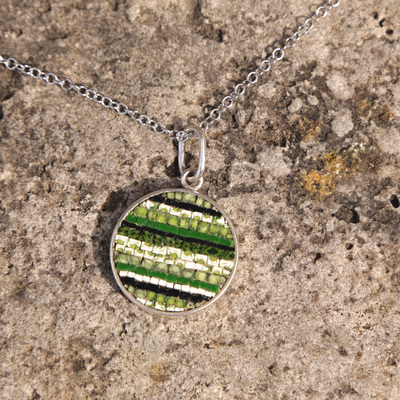 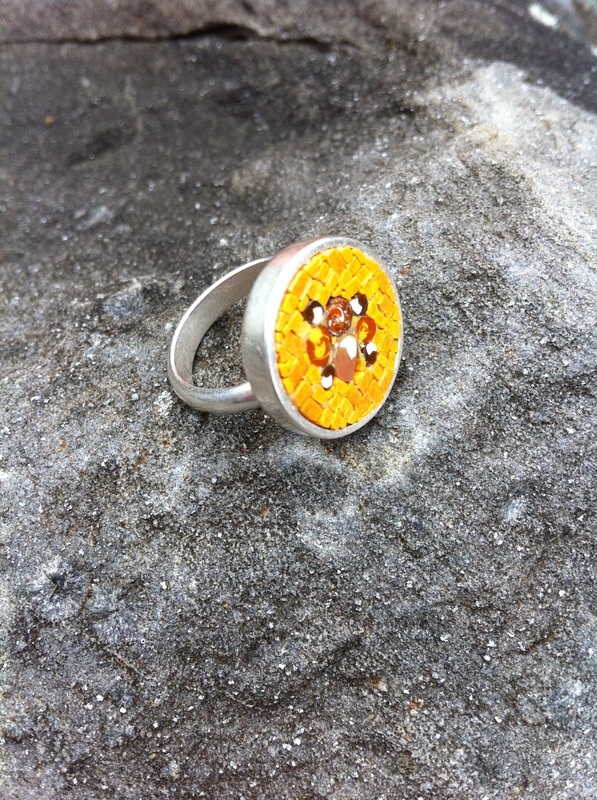 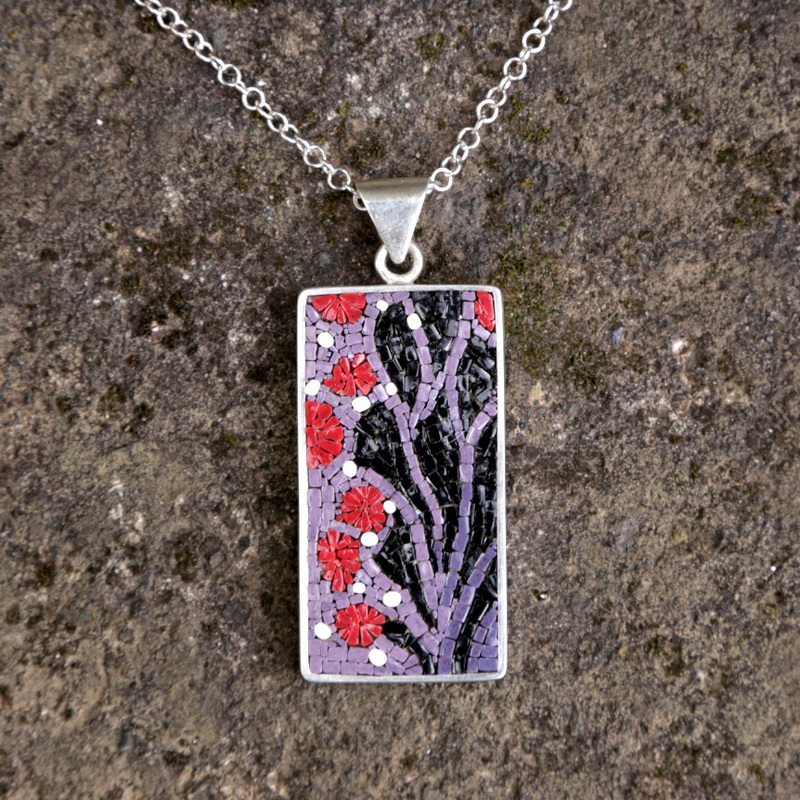 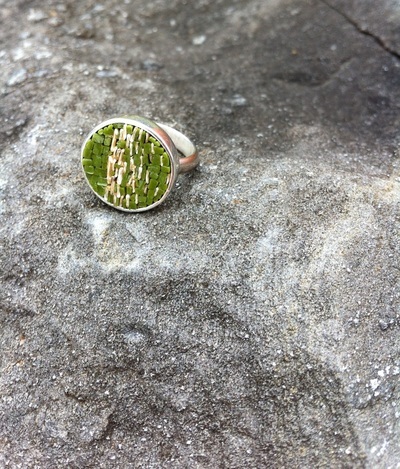 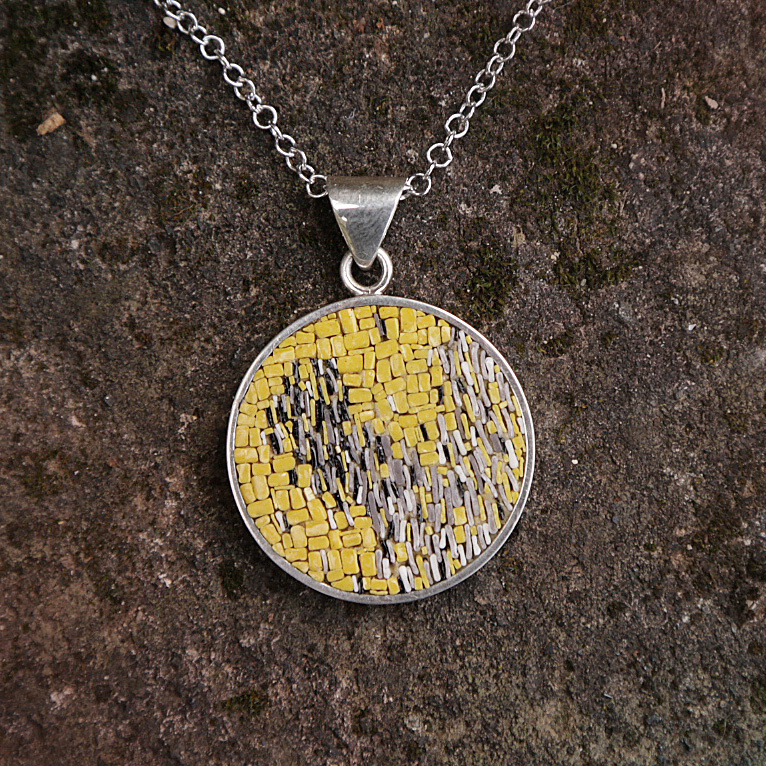 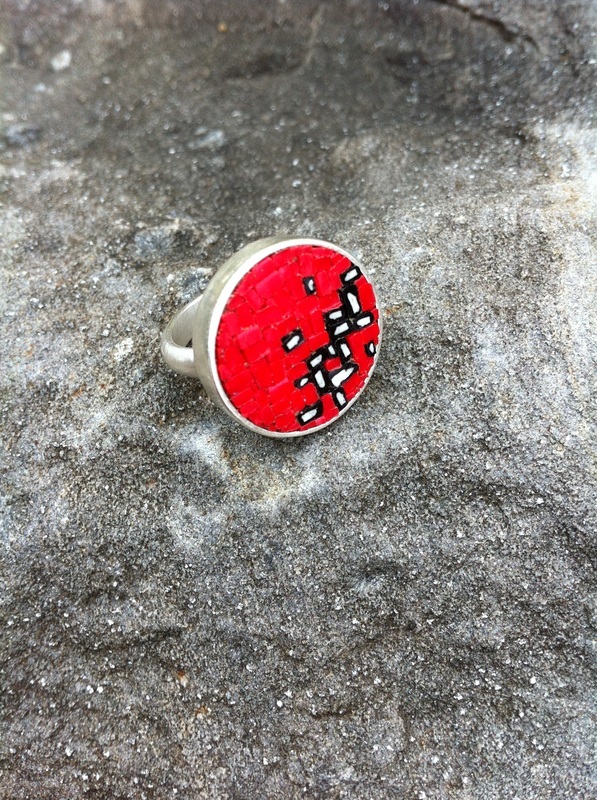 Megan uses the centuries old technique of micro-mosaic to create precious, original, hand crafted jewelry. Her miniature mosaics are made from countless colors of Venetian glass, brought to red hot incandescence over a flame, shaped and pulled into long, thin threads. 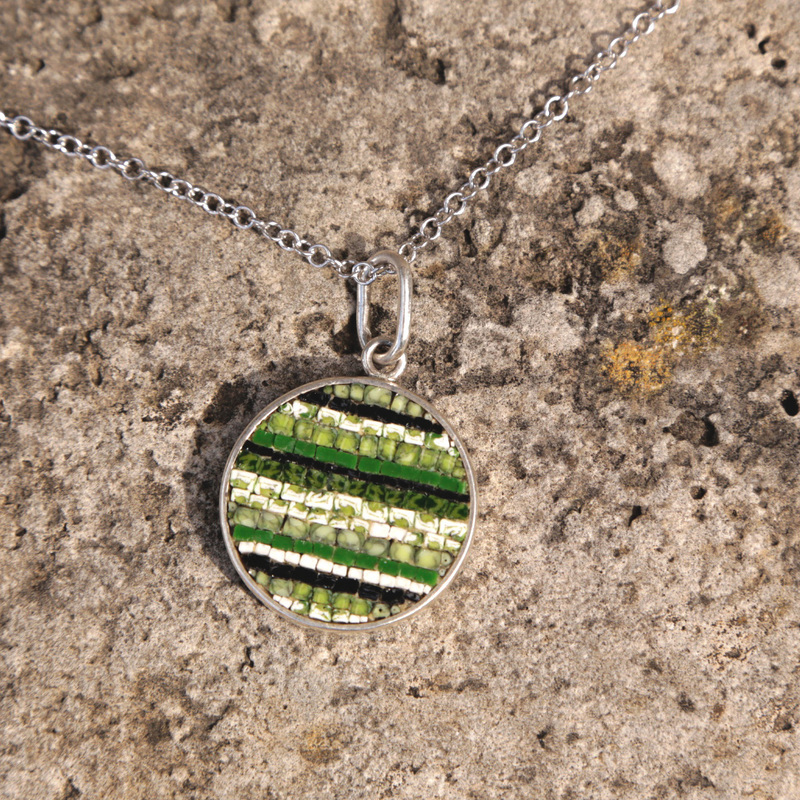 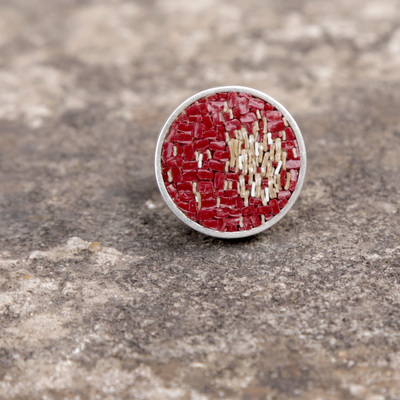 These threads become the tesserae with which Megan creates bright modern designs as well as traditional and custom made pieces. Each one is unique and one of a kind. 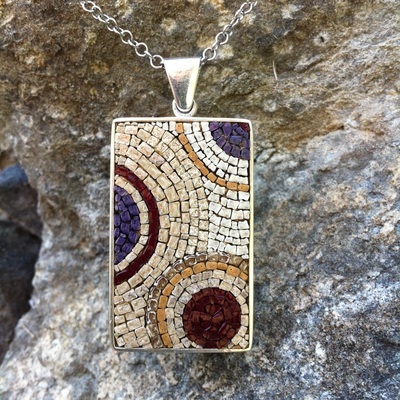 Megan usa la tecnica antica del micro mosaico per creare gioielli preziosi ed originali. I suoi mosaici in miniatura sono fatti da innumerevoli color di smalto veneziano , portato all'incandescenza sul fuoco, modellato e tirato in fili fini e lunghi. 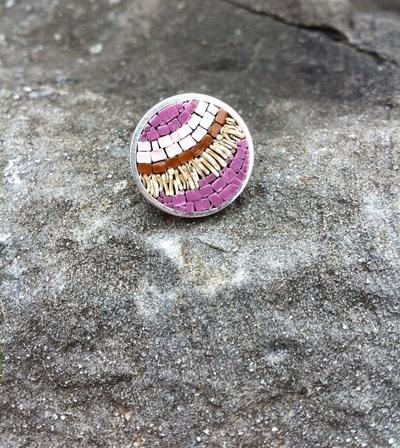 Questi fili diventano le tessere con cui Megan crea sia disegni vivaci e moderni che tradizionali e fatti su misura. 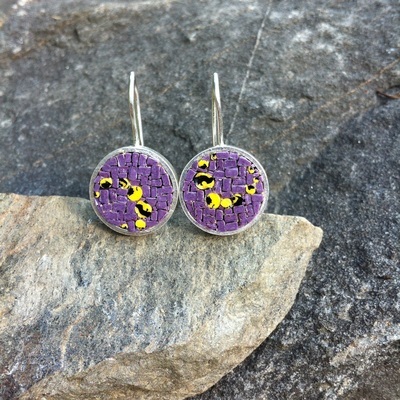 Ogni pezzi e' unico e speciale. 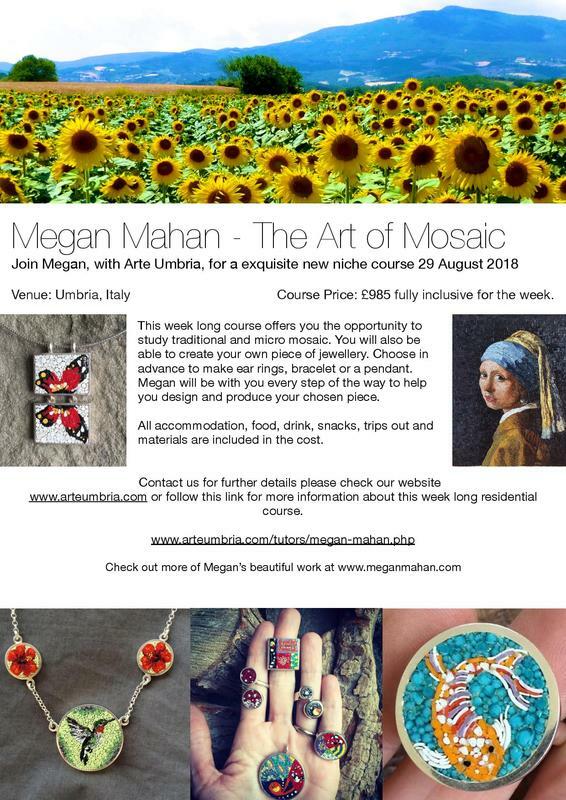 My next scheduled course will be in Umbria, Italy in late August 2018 in collaboration with Arte Umbria. 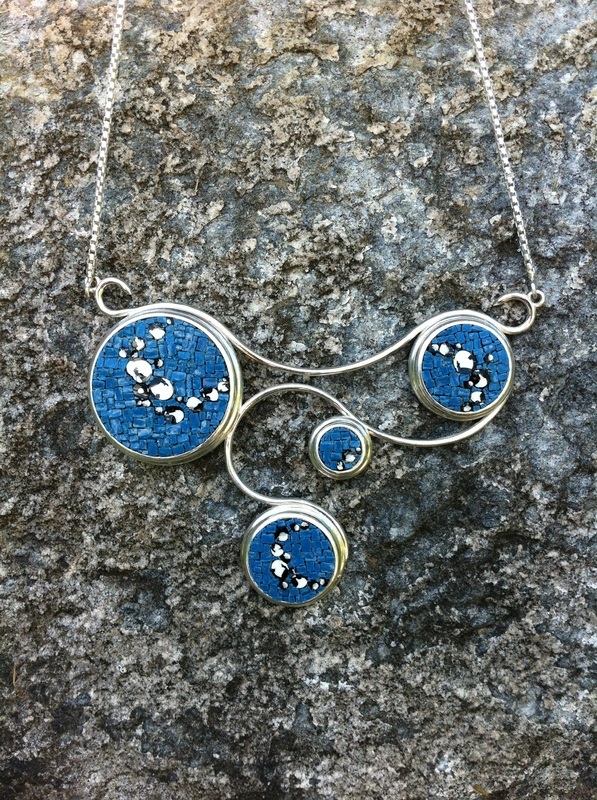 I'm also very happy to be doing an artist's demonstration at the Boston Museum of Fine Arts Sunday, June 24th 12:00-3:00. 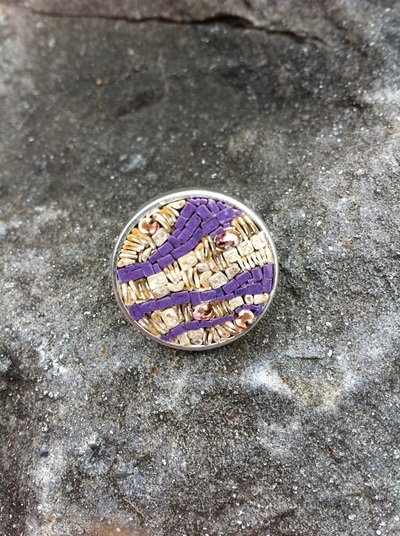 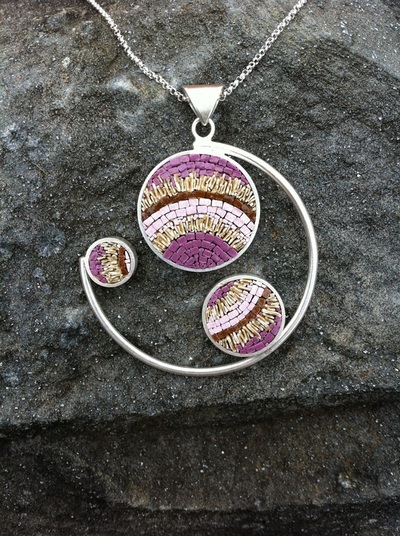 I'll be showing all the steps of the process behind making micromosaic jewelry.